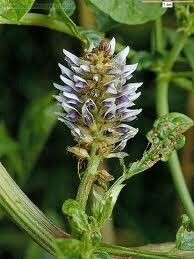 Objective Licorice root has been reported to contain several neuroprotective compounds. In the present study we investigated its benefit in the treatment of acute ischemic stroke for which, treatment modalities are limited. Design Randomized double-blind placebo controlled trial. Subjects75 patients admitted to the neurology emergency department of Namazi hospital affiliated to Shiraz University of Medical Sciences, Iran, diagnosed with acute ischemic stroke. InterventionPatients were randomly prescribed oral 450 mg or 900 mg licorice extract or placebo capsules three times daily for 7 days. National institute of Health stroke scale (NIHSS) and Modified Rankin Scale (MRS) scores were assessed before initiation of therapy and 3 months after treatment. Improvement of these scores were compared between study and control groups. Results Mean NIHSS scores in 450 mg and 900 mg groups decreased from an initial score of 10.68 and 10.44 to 6.4 and 5.48 after 3 months respectively; while in the control group changed from 8.36 to 5.64. The decline in NIHSS scores were significantly greater in licorice treated groups than the control group. Similarly the decrease in MRS was greater in the licorice treated groups (4.2–2.9 in 450 mg licorice group, and 4.4–2.8 in 900 mg licorice group) versus the control group (3.9–2.8). None of the participants developed adverse reactions attributed to licorice overdose. A randomized, double-blind, placebo-controlled study was conducted to evaluate the efficacy of GutGard, an extract of Glycyrrhiza glabra, in patients with functional dyspepsia. The primary outcome variables of the study were the change in the severity symptoms and the global assessment of efficacy. The quality of life was evaluated as a secondary outcome measure. The patients received either placebo or GutGard (75mg twice daily) for 30 days. Efficacy was evaluated in terms of change in the severity of symptoms (as measured by 7-point Likert scale), the global assessment of efficacy, and the assessment of quality of life using the short-form Nepean Dyspepsia Index. In comparison with placebo, GutGard showed a significant decrease (P ≤ .05) in total symptom scores on day 15 and day 30, respectively. Similarly, GutGard showed marked improvement in the global assessment of efficacy in comparison to the placebo. The GutGard group also showed a significant decrease (P ≤ .05) in the Nepean dyspepsia index on day 15 and 30, respectively, when compared to placebo. GutGard was generally found to be safe and well-tolerated by all patients. GutGard has shown significant efficacy in the management of functional dyspepsia. Source : Evid Based Complement Alternat Med. 2012; 2012: 216970.